After receiving a couple of requests, I have created a pattern for my 'Shootin' The Breeze' quilt. This was the quilt I designed for the Riley Blake Challenge put on by the MQG. It's a fairly easy paper pieced quilt that goes together rather quick. For a limited time only, I'm offering the Shootin' The Breeze pattern at 25% off, so hop on over to Craftsy now to get your pattern. Your quilts are beautiful. 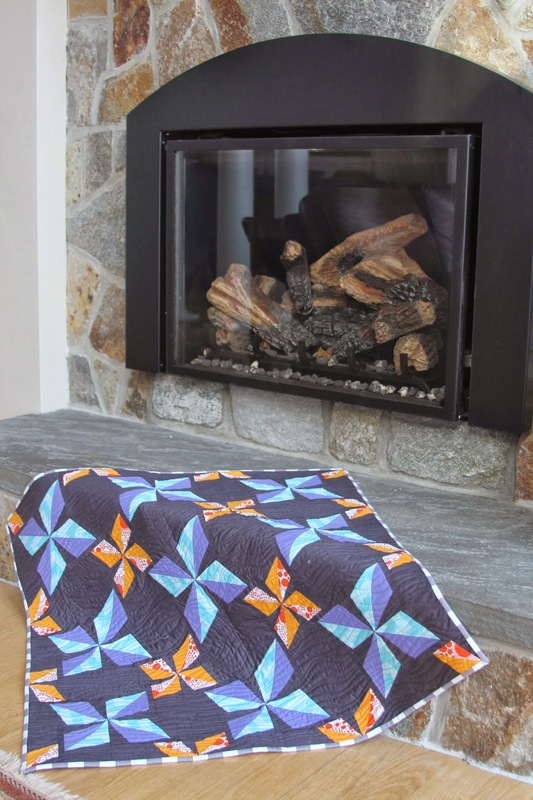 I especially love the colors in the triangle quilt you posted earlier. I also am from AMB....just making the rounds and saying hello to people.